1) Parents should serve as good role models in changing dietary habits. When children are addicted to the Standard American Diet (SAD) which is loaded with sugar, dairy, wheat, yeasts, caffeine and chemicals, it’s because their parents or care takers are also consuming these food. Children would follow when their parents or care takers set good examples. My yeast-free cookbook, Healthy and Tasty: Dr. J’s Anti-Yeast Cooking will give you ideas in terms of how to prepare healthy and tasty food that change your taste buds for the better. 2) Overweight women should lose excess weight before pregnancy to lessen the incidence of diabetes in their own children. Our Weight Management program will facilitate this weight loss process. 3) Women with diabetes should do more exercise to control their blood sugar level during pregnancy. Slow-walking is a low-impact exercise suitable for pregnant women. 4) Yeast and parasitic infection symptoms tend to flare up during pregnancy. When the estrogen level increases, the blood volume also increases. When the blood volume increases, heightened blood sugar feed yeasts and parasites. Babies can contract yeast and parasitic infections through their mother’s blood stream and birth canal. When yeasts and parasites affect the thyroid gland and cause hypothyroidism, it would be difficult for children to lose weight. So, the pregnant woman and her sexual partner should be treated to control the overgrowth of yeasts and parasites. Our Herbal Detox (Yeast-Para Control and Cleansing-Balance Tea) is safe and beneficial for both pregnant women and their babies. 5) Encourage children to exercise. Children will develop a good exercise routine when parents set a good example. Family activities in the park can be a wonderful way to get both parents and children involved in physical movements. Child obesity can be treated and prevented. Parents need to be involved and set good examples for their children as early as possible. For telephone consultation on holistic treatment for weight control for adults or children, please call (800) 715-3053 , or (818) 472-2213 , or send an e-mail to drj@drjsbest.com. Consultation sessions over Skype are also available. Skype name: academyofvibranthealth. For more information, visit our website: www.drjsbest.com. If parents have poor dietary habits, their children learn the same habits. I once encountered an overweight school kid who was bottle-fed with 7-up since he was an infant. Therefore, he had been addicted to sugary food throughout his childhood. When mothers are overweight during pregnancy, the fatty tissues can easily form in the bodies of babies in the womb. According to several studies, the body mass index is higher for babies born to diabetic mothers. The unused blood sugar in the mother’s body will feed (or over-feed rather) the baby in the womb. As I mentioned in previous articles, when the pregnant mother has yeast and parasitic infections, she can give the same infections to her baby through the blood stream and the birth canal. Once infected, the baby may have a weak thyroid gland and crave food which feeds the yeasts and parasites, and a vicious cycle ensues. School kids may spend very little time on exercise, and overtime in front of the TV or computer. 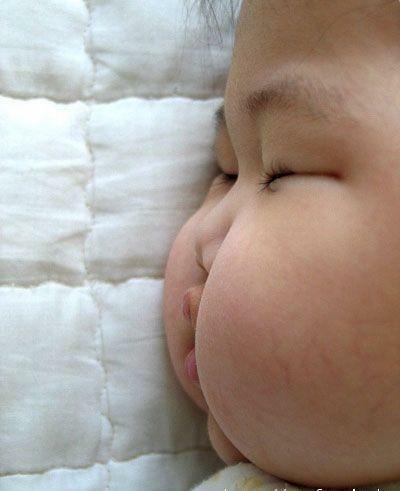 In the next article, I will discuss the treatment and prevention of child obesity. Stay tuned! Q. I have lost and gained at least 100 pounds in the past two years. I am sick and tired of these weight yo-yo’s. How can I lose weight and stay off? Remember, I don’t call this a “yeast-free diet”, because “diet” would denote a temporary fix. I call it a nutritional program because this is for life. In this nutritional program, you choose food that nourishes your body and starves your “little enemies”: yeasts and parasites. The yeast-free nutritional program consists of no sugar, no dairy, no wheat, no yeasts, no caffeine, no alcohol, no nicotine, nor chemicals. I know this is a tall order for most Americans, because the Standard American Diet (SAD) is loaded with theses no-no’s and causes both childhood and adult obesity. Do the best you can – You will get benefits proportional to your effort. To learn what to eat and what to avoid, follow my yeast-free cookbook, Healthy and Tasty: Dr. J’s Anti-Yeast Cooking. A yeast-free nutritional program prevents new toxins from entering your body. If your body already has toxin and fat build up, you need to consider herbal formulas that can remove toxins and burn the existing fat. To help my clients lose weight effectively, I usually recommend our Herbal Detox(Yeast-Para Control and Cleansing-Balance Tea) together with the Weight Management (Herbal Cocktail, Fitness Regular, and Fitness Plus) program. In order for your body to boost your metabolism, it’s essential that you have the toxins removed. Dehydration can cause your entire body system to break down, including metabolic function. Drink eight to 10 glasses of liquid (about eight oz. each glass) per day. Your body needs this amount of liquid to ensure good blood circulation and smooth transportation of nutrients to your body cells. If you are on our Herbal Detoxand Weight Management programs, you will have 6 cups of Cleansing-Balance Teaper day, plus one to two glasses of an Herbal Cocktailsmoothie, plus one cup of soup if you follow my yeast-free cookbook. You are also welcome to drink one to two glasses of water in addition to the above. Thus, your body will be properly hydrated if you are on our recommended programs. When your body is properly hydrated, you don’t feel hungry as easily. The food you ingest would be better digested and the nutrients will be properly absorbed. Exercise improves your blood circulation and increases the absorption of our herbal formulas. Exercise also generate endorphins (the morphine within) which can reduce or prevent the aches and pains in your body. It also gives you a feeling of being calm and high. According to some of my clients, it’s better than marijuana! Some people use excuses such as no money for gym membership, no gym nearby, not liking the people in the gym, etc. Here is my suggestion: you don’t need to go to the gym to exercise. You can do slow walking around the block in your neighborhood, or walk in a mall if you are concerned about your safety, or simply jog in place at home. Where there’s a will, there’s a way! Weight is often used as a subconscious protection shield. Most of my clients with overweight conditions had been abused physically, sexually, and/or mentally. Until the negative emotions such as anger, resentment, fear, regret, guilt, etc are cleared up with spiritual/psychological counseling, the weight yo-yo’s can continue on a subconscious level. I highly recommend spiritual counseling here because I help my clients find meaning in the suffering. Traditional psychotherapy can take a long time and still not achieve the same result. Read my book, Breaking the Yeast Curse: Food and Unconditional Love for Magic Healingfor more details. 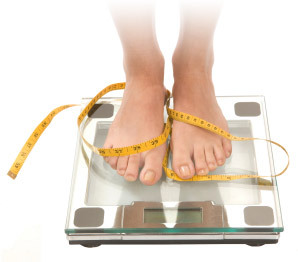 Maintaining your ideal weight is a life-long journey in staying physically and mentally fit. No fad diet can accomplish this. You must make a total commitment to a healthy lifestyle! Our herbal programs will make it much easier to achieve this lifestyle.